Figures of speech and shorthands are called terms of language. The nature of the visual has, over the past decade, moved to the center of debates in the humanities. No longer simply the study of timeless masterpieces, art history as a discipline is now addressing some of the most basic questions about cultural production, questions such as how images function and how expectations and social factors mediate what we see. The new scope of art history has required a major expansion and reassessment of methods and terminology. 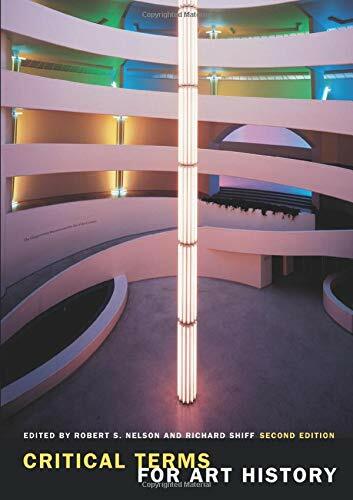 Edited by Robert Nelson and Richard Shiff, Critical Terms for Art History is both an exposition and a demonstration of contested terms from the current art historical vocabulary. In individual essays, scholars examine the history and use of these terms by grounding their discussions in single works of art, reading each work through current debates and methods. This instructive combination of theory and practice allows readers to examine the terms as they are seeing them employed. In its wide representation of contemporary discourse, Critical Terms for Art History is a comprehensive effort to map historical and theoretical debates over the visual environment. 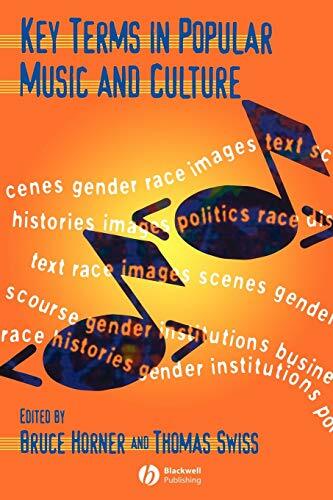 Around 300 essay-style entries introduce the reader to the traditional terms of literary criticism and the central preoccupations of contemporary critical thinking. Though [modernism is] sometimes loosely used as a label for the dominant tendency of the twentieth-century arts, as �neo-classicism� is for eighteenth- and �romanticism� for nineteenth-century arts, �modernism� raises problems crucial to the character and destiny of those arts. 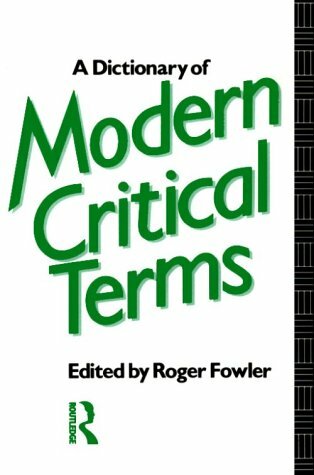 Not only is much modern writing not modernist � so Stephen Spender distinguishes between 'modern' and 'contemporary' writers (The Struggle of the Modern, 1963) � but it resists the thesis that modernist style and sensibility are inevitable in our age. For modernism tends to propose special opportunities and difficulties for the arts. Modernist art is, in most critical usage, reckoned to be the art of what Harold Rosenburg calls 'the tradition of the new'. It is experimental, formally complex, elliptical, contains elements of decreation as well as creation, and tends to associate notions of the artist's freedom from realism, materialism, traditional genre and form, with notions of cultural apocalypse and disaster. Its social content is characteristically avant-garde or bohemian; hence specialized. Its notion of the artist is of a futurist, not the conserver of culture but its onward creator; its notion of the audience is that it is foolish if potentially redeemable: 'Artists are the antennae of the race, but the bullet-headed many will never learn to trust their great artists' is Ezra Pound's definition. Beyond art's specialized enclave, conditions of crisis are evident: language awry, cultural cohesion lost, perception pluralized. Further than this, there are several modernisms: an intensifying sequence of movements from Symbolism on (Post-impressionism, Expressionism, Futurism, Imagism, Vorticism, Dadaism, Surrealism) often radically at odds, and sharp differences of cultural interpretation coming from writers apparently stylistically analogous (e.g. T. S. Eliot and William Carlos Williams). A like technique can be very differently used (e.g. the use Of STREAM OF CONSCIOUSNESS in Virginia Woolf, James Joyce and William Faulkner) according to different notions of underlying order in life or art. The post-symbolist stress on the 'hard' or impersonal image (see IMAGISM) can dissolve into the fluidity of Dada or Surrealism or into romantic personalization: while the famous 'classical' element in modernism, emanating particularly from Eliot, its stress on the luminous symbol outside time, can be qualified by a wide variety of political attitudes and forms of historicism. Note from the editor: paragraphs were added to this excerpt.